Dusted Valley hosts a tasting room on the south side of Walla Walla where we proudly share the good life with friends, fans and fellow winos. Here, the sun drenches the valley and the moon shines over the Blue Mountains. The local produce and restaurant scene is fantastic and the wines are among the best in the world. Life does not revolve around rush hour traffic, but rather the expansive vineyards and farmlands that link us with our agricultural roots, neighbors and surround us every day. 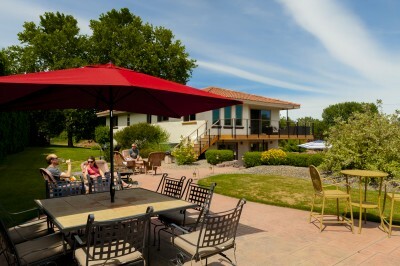 This is Washington wine country at its best, and we invite you to join us at our tasting room or on our patio – the perfect place to picnic, drink some vino, and take it all in. We appreciate your advance notice for groups of 8 or more people. Please call us at 509-525-1337 or email us at info@dustedvalley.com to make your reservation. Vaulted ceilings, lots of light and a mix of natural materials complete the feel and make it the perfect setting to enjoy exceptional wine and a little taste of the good life. 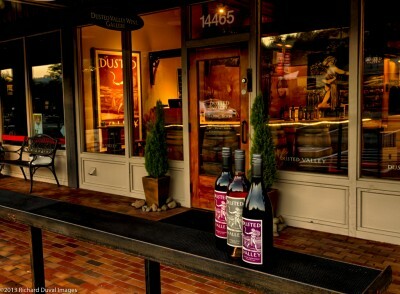 In addition, walking paths connect the tasting room to award-winning restaurants and a growing wine community in the heart of Woodinville’s Tourist District. Want to party Dusted Valley style? Learn more about securing our private event space for your next special event by contacting wood@dustedvalley.com. We appreciate your advance notice for groups of 8 or more people. Please call us at 425-488-7373 or email us at wood@dustedvalley.com to make your reservation.